Like a song that you found on a Skyrock Music Blog? Put it on your blog! To do so, go to our search engine, click on Music and search for an artist, track or album. Options will appear from Music Blogs. When you find the artist or track you're looking for, play it first. Then click on “Add to my blog”. You can click either on the music symbol or the +. Another window will then open. Click on Add again to finish. Once this is done, the track appears on your blog and may be heard by all visitors. Of course, you're free to replace the track as many times as you wish. Please note that this link doesn't appear next to all the titles available on a Music Blog, as its author decides whether s/he wants to share it with others. 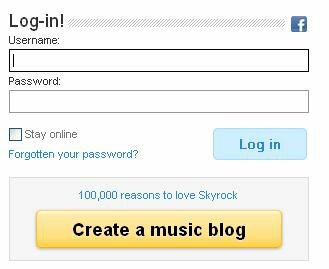 If you'd like to create your own Music Blog, you must create a new Skyrock account and have legal rights on the titles you make available. There have been a lot of questions lately on how to create a music blog. It can be kind of confusing because you don't actually register for a music blog in the same place that you sign up for a regular one. So you're on the homepage. From the menu bar at the top of the page, go to MORE and click on the down arrow. Now you're on the Music page. On the right-hand side it asks you to log in. Below that it gives you the option to CREATE A MUSIC BLOG. BLOG : Even more music on your blog ! We've made Music Blogs even better: you can now upload 10 songs instead of 4! This gives you even more options when giving a voice to your blog. New ! Display your Deezer playlist on your blog ! The Deezer.com widget is on Skyrock.com ! 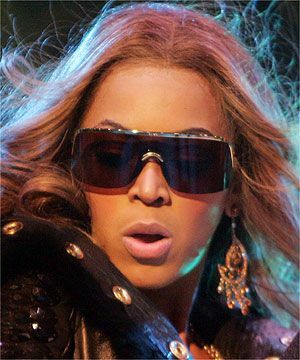 1) Whilst logged into Skyrock, open a new window in your browser and go to Deezer.com. Once there you can select a playlist and then click on the Skyrock link situated in the top right hand corner. This will automatically create a new article with your playlist on your blog. 2) Obtain the playlist code (by clicking on the 'exportable player' link situated in the top right hand corner of the playlist) that you want on deezer.com, create an article on your blog, add the "Deezer Playlist" widget and paste the code in the required field. Tell us what you think by leaving a comment ! The music player has improved: It's better looking and has even more functions than before! For example, you can now repeat or shuffle songs in just one click- check it out on your favourite music blog ! Important: Don't forget that you can display the player as a pop up window.